This week we are both starting to notice the weight loss on ourselves. You would think this would be a good thing, but the unfortunate fact remains – that we are girls… so we are still managing to be critical on ourselves. But at the end of the day, it’s pretty cool to know our hard work is paying off. 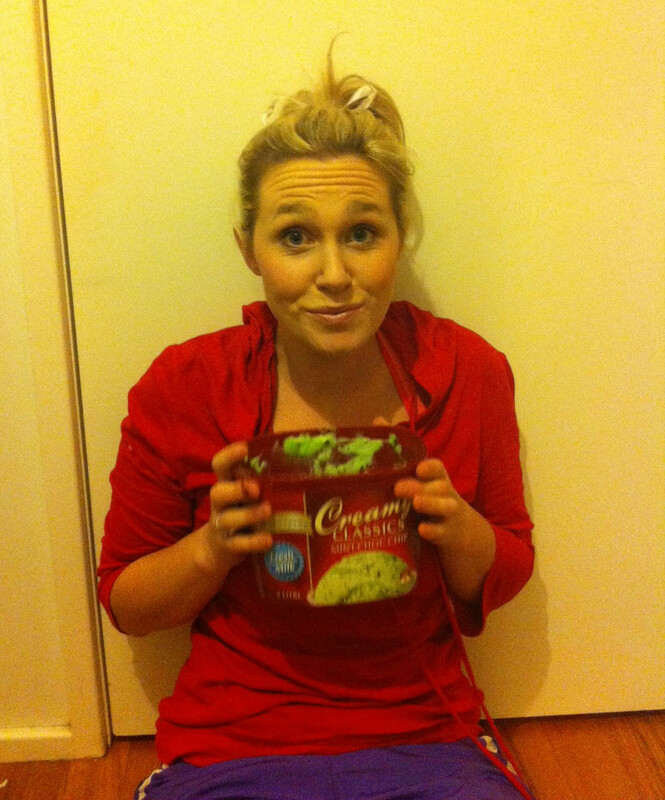 Blue Team (Mel): A bowl of ice-cream, too many “delights”, and a potato cake. 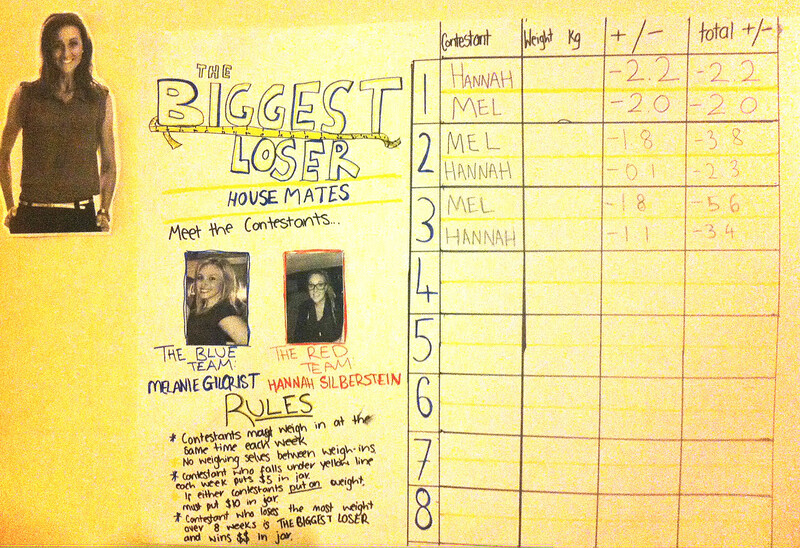 So obviously Hannah has mastered the art of self-control a bit better than Mel. For this reason, next week’s goal for Mel is not to give into temptation. 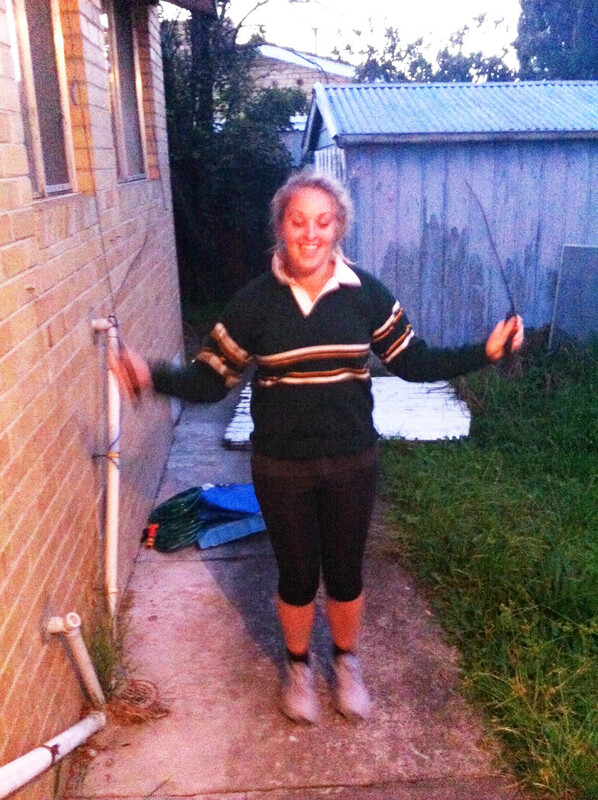 Hannah’s goal is to work more high intensity cardio into her weekly exercise. This week, the weigh in was a bit closer. With a loss of 1.8kg, the winner was Blue Team! Red Team fell below the yellow line with a loss of 1.1kg, but as the reigning winner of the challenge, only has to pay $2.50 to the jar. As always, the continual support of EVERYONE is amazing and has been helping so much. We hope the other groups doing their own TBL’s are having a great time like we certainly are! Previous Post Challenge #2: The Bike!.. no.. The Rower! … no… Weights! ?